LAST GAME 10/10/10: Eagles 27 at 49ers 24. Philadelphia RB LeSean McCoy totals 138 yards from scrimmage, including 29-yard TD run. S Quintin Mikell scores on 52-yard fumble return. LAST GAME AT SITE 12/20/09: Eagles 27, 49ers 13. Philadelphia builds 20-3 halftime lead en route to win. Eagles WR-PR DeSean Jackson catches 6 passes for 140 yards & 1 TD. BROADCAST FOX (1:00 PM ET): Ron Pitts, Jim Mora. SIRIUS: 139 (SF), 93 (Phi.). XM: 226 (Phi.). 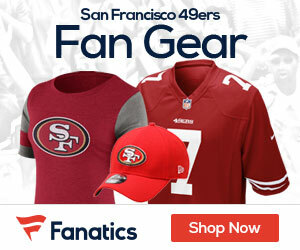 49ERS: Tie for NFL lead with +6 turnover ratio (8 takeaways, 2 giveaways). QB ALEX SMITH ranks 2nd in NFC with 68.9 comp. pct. (51 of 74). Passed for 309 yards & 3 TDs in last game vs. Phi…RB FRANK GORE has 316 scrimmage yards (105.3 per game; 260 rush, 56 rec.) & 2 TDs (1 rush, 1 rec.) in past 3 meetings. Has 2 100-yard rush games in past 3 vs. Phi. Since start of 2006, Gore ranks 3rd in NFL with 8,142 scrimmage yards (5,954 rush, 2,188 rec. )…Since start of 2009, TE VERNON DAVIS has 20 TDs, most among NFL TEs. In that time, Davis (2,058) has 2nd most rec. yards by NFC TE. Had 5 catches for 104 yards (20.8 avg.) & TD in last game vs.Phi. Had 8 catches for 114 yards last week. In last meeting, WR MICHAEL CRABTREE had career-high 9 catches & recorded 1st 100-yard rec. game (105 yards) of career. WR-KR-PR TED GINN JR. ranks 2nd in NFL with 39.2 KR avg…DE JUSTIN SMITH had 2 sacks in last game vs. Phi. Has started 158 consecutive games. CB TRAMAINE BROCK has INT in 2 of past 3…EAGLES: QB MICHAEL VICK has rush TD in 4 of past 5 at home…RB LE SEAN MC COY leads NFL with 4 rush TDs & ties for 2nd with 5 total TDs. Leads NFC with 345 rush yards & ranks 2nd in NFC with 394 scrimmage yards. Had 138 scrimmage yards (92 rush, 46 rec.) & rush TD in last meeting. Aims for 3rd in row vs. SF with TD. Leads NFL with 23 rush 1st downs & 26 total 1st downs…WR-PR DE SEAN JACKSON had 6 catches for 140 yards (23.3 avg.) & TD in last home game vs. SF. Has 27 TDs (20 rec., 4 PR, 3 rush) in career & averages 45.7 yards per TD (1,234 yards). WR JEREMY MACLIN had 6 catches for 95 yards in last meeting. Has 18 catches (9 per game) for 240 yards (120 per game) & 2 TDs in past 2. TE BRENT CELEK had TD in last game vs. SF…CB ASANTE SAMUEL had INT in last meeting. Has NFL-best 37 INTs since 2006. DE TRENT COLE has 11 sacks in past 12 at home. Has 4 sacks in past 4 vs. 49ers. Aims for 5th in row with sack & has sack in all 3 games. Be the first to comment on "49ers at Eagles NFL Week Four Capsule"